This section covers understanding IPs categories, adding, assigning and removing IP adressses. 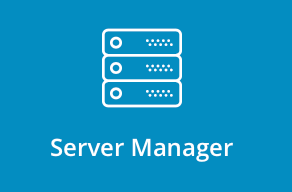 To access IP Manager, sign into the control panel and then click on the "Server Manager" icon, followed by the "IP Management" link. 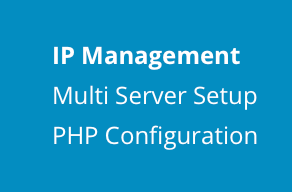 The IP manager allows you add IP addresses to the control panel and allocate them to your Resellers. This is the main server IP address (176.31.211.18 in the above table). The status is "server" because the IP address is owned by the server only. The table tells us that 5 Users have sites on the server IP. An owned IP is an IP address allocated to one User only. For example, our Reseller (assistance) owns 176.31.211.21, which is the IP address of his User (helper) main web site (remember that Resellers are also Users). You can think of owned IP addresses as dedicated or static IP addresses. Technically, the Admin "owns" all the IP addresses in the table (except for server IPs). That is, the Admin controls how they are used. A shared IP is an IP address that more than one User can be assigned to. In the above example, our reseller using 176.31.211.19 for name-based hosting. That is, he could create unlimited web sites that resolve to that IP address. A free IP is an IP address not in use by any User. The Reseller can make it owned by a single User (to give that site its own dedicated IP address) or the Reseller can make it shared (and host many sites from that IP address). In the above example, 176.31.211.22 is free and owned by the Reseller support. You must tell the IP manager which IP addresses are allocated to your server. 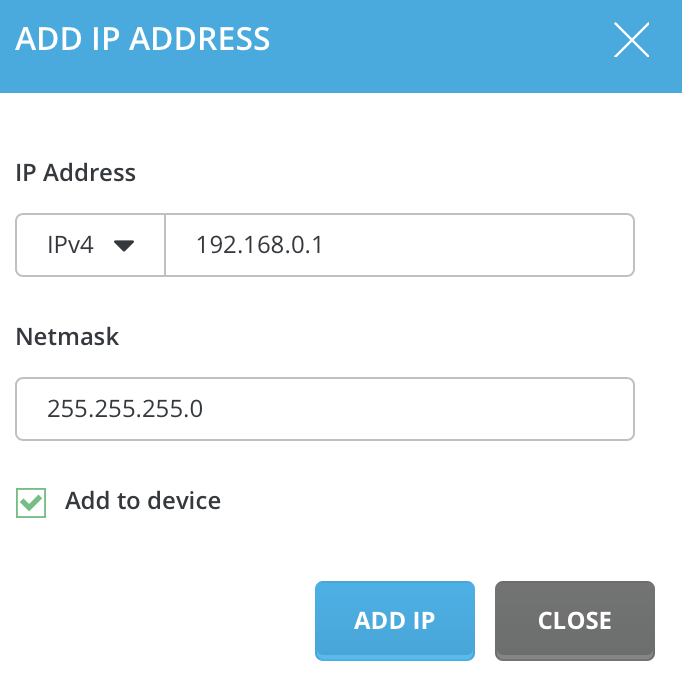 To add an IP address, click on the "Add IP" button at the top of the screen, enter your desired IP address and click the "Add IP" button again. The IP address will then appear in the table with free status. The Netmask value is usually 255.255.255.0 but you may change this as needed. To assign an IP address to a Reseller, place a check next to the IP address(es) you want to assign and then select the Reseller name from the dropdown menu. Then, click "Assign" button at the top of the table. Please note that you cannot assign an IP address that is currently owned by a different Reseller. For example, we could not assign 176.31.211.21 to support because assistance is the Reseller currently owning it. We would first have to remove the IP address from support. To remove an IP address from a Reseller, place a check next to the IP address(es) you want to remove and click the "Remove from reseller" button. Please note that you can only remove "free" IP addresses. That is, if the IP address is owned by the Reseller or one of his/her Users, the remove function will not work.